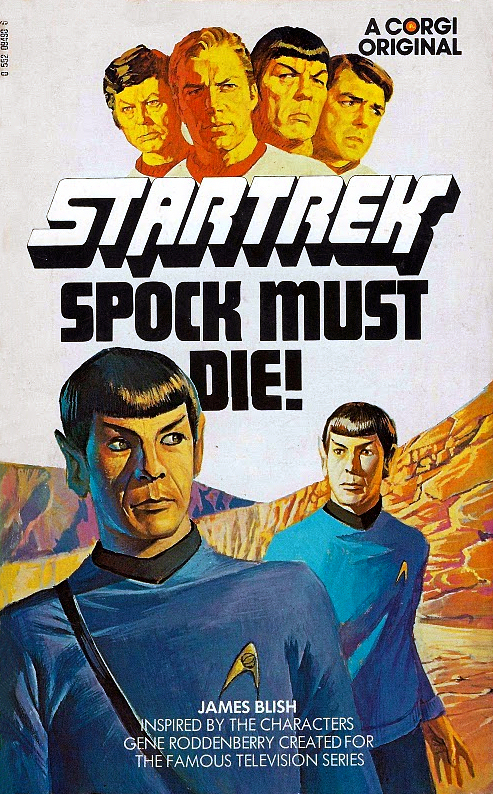 Spock Must Die! 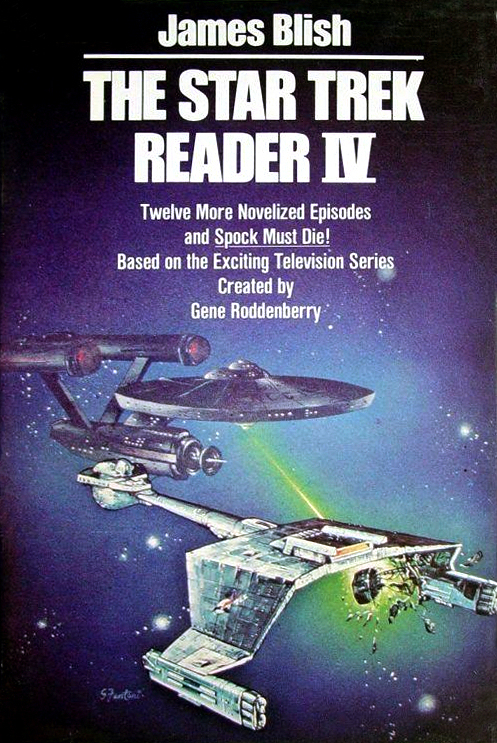 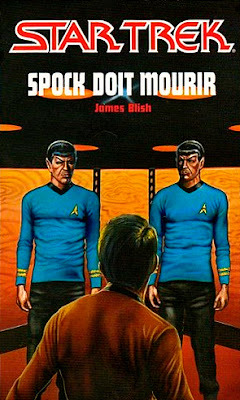 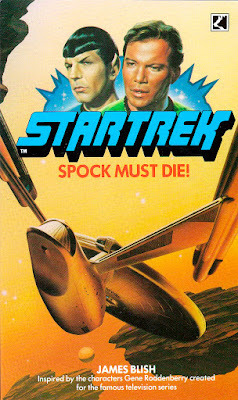 was Bantam Books first original Star Trek novel, first published in 1970. 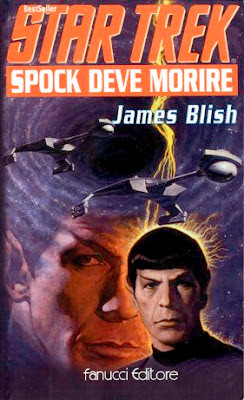 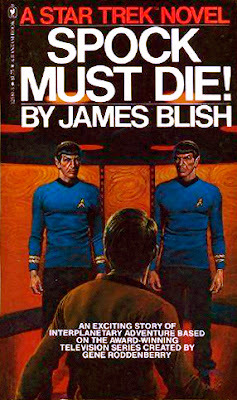 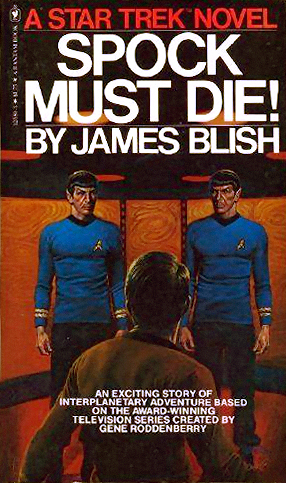 It was written by James Blish, who had by then already written several of Bantam's Star Trek novelization anthologies. The book was later reprinted many times by Bantam, by Corgi in the UK, and in French, German and Italian translations. 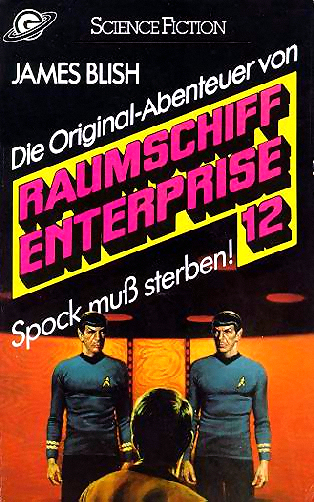 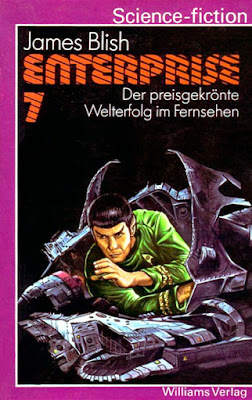 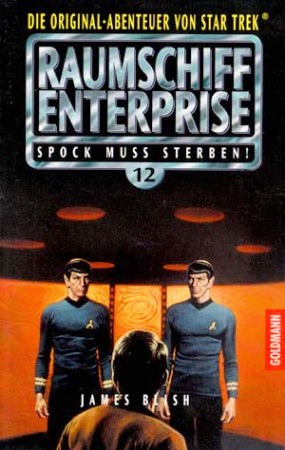 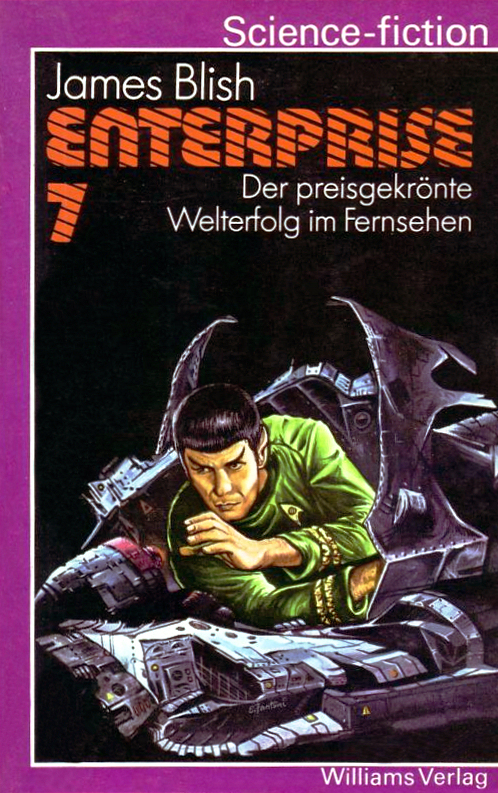 Number 7 in Williams-Verlag's Enterprise series. The only book in the series that is not a reprint of one of Blish's adaptation anthologies. 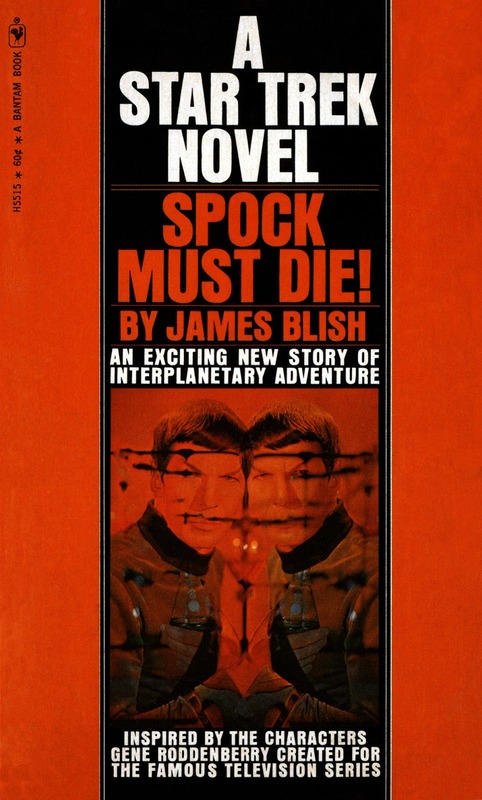 Note: This is a hardcover omnibus, also containing the novelization anthologies Star Trek 10, and Star Trek 11. 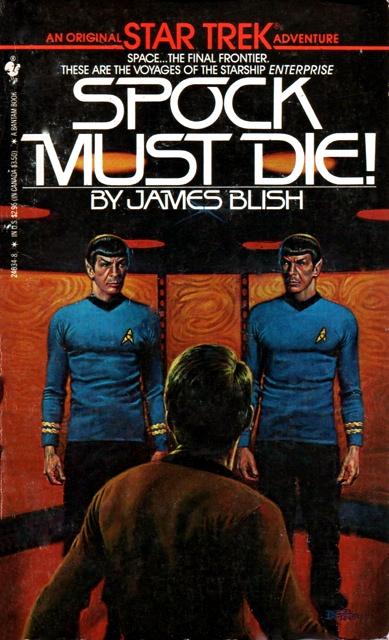 Cover artist: Bob Larkin, reuse of 1979 edition artwork. 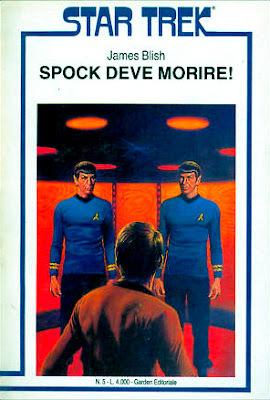 Note: There seem to be two different versions of this book, but as far as I can tell both have the same ISBN and publication date. 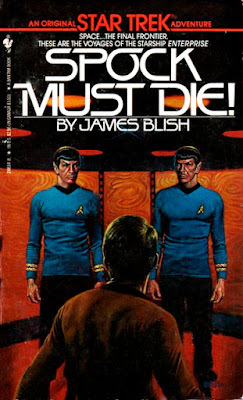 One of my readers has suggested the top cover was the one used in the first printing of the book, and that subsequent reprints used the second version of the cover. 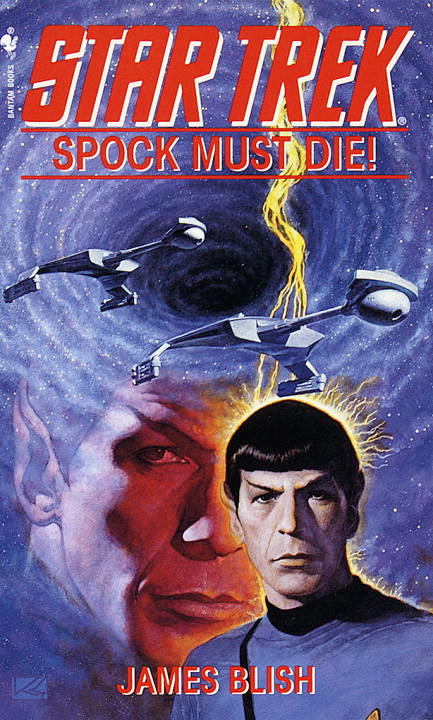 Cover artist: Kazuhiko Sano, reuse of 1999 Bantam reprint edition artwork.